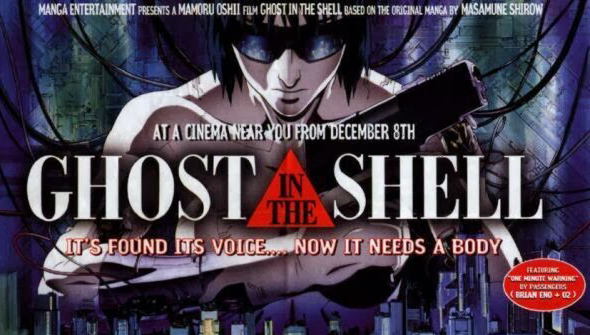 Mamoru Oshii's 1995 seminal classic Ghost In The Shell is arguably one of the most influential sci-fi anime ever made. Recognised as a major influence on The Matrix the cyber-punk opus is one of the few adult anime movies (besides Akira) that achieved any sort of mainstream success in the west. All things considered it's a surprise that it took so long for a Hollywood studio to acquire the live-action rights. That studio was Dreamworks, but the project had been presumed dead as no more had been heard from it for around half a decade. Now, it seems the project is finally moving ahead once more and has a director attached in the form of Rupert Sanders. The Ghost In The Shell franchise started out as a manga written by Appleseed creator Masamune Shirow, and has been adapted into animation several times. As well as the '95 movie and it's 2004 sequel Innocence it has also been made into the excellent GITS: Stand Alone Complex TV series- which in turn spawned a movie spin-off of it's own. A brand new incarnation started in Japan in 2013 with the release of the first episode of GITS: Arise which hit DVD and Blu-ray after a limited theatrical run. There's a lot of material for the script to draw upon, but so far all signs have pointed towards it adapting the 'Puppet Master' storyline which was also the source of Oshii's movie. Sanders is a British born director with only one feature under his belt so far: Snow White And The Huntsman. That film might have been underwhelming, but the visuals and production designs were pretty impressive, so it doesn't seem like a terrible choice. With a good script it could work. However a Ghost In The Shell movie will live or die on the casting of the central character of The Major. Get her right and the movie stands half a chance of turning out half-decent.